An idyllic & peaceful hide-away for Adults cradled between the two valleys, La Vallée du Lot and La Vallée de La Dordogne. Marvel at this ancient region of the Lot, nestled within the heart of the stunning “Parc Naturel Régional des Causses du Quercy”. 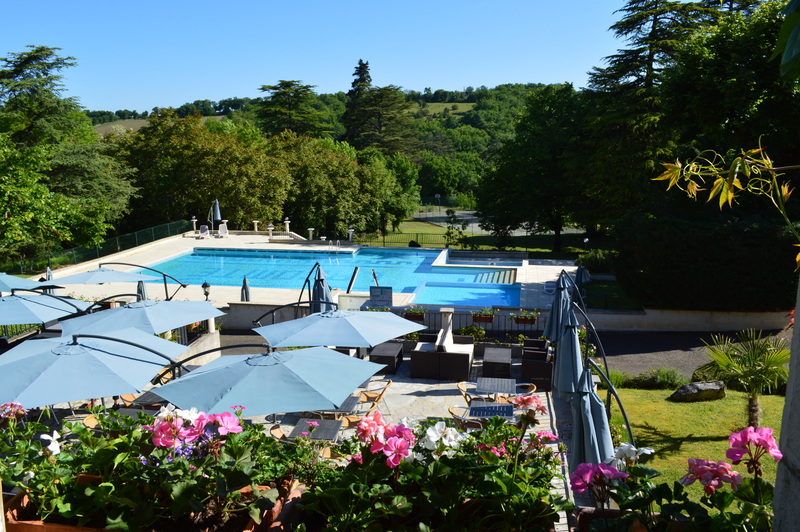 Relax at Château de Lacomté Country Club Camping whilst you discover, ancient legends, the amazing local history, imposing Chateaux & picturesque medieval villages. Not forgetting the sensational starlit nights, wild life, rare butterflies, and beauty of all the flora and fauna, including the many rare orchids in May & June that will captivate you. The camping is ideally situated, 10 minutes from exit 56 of the A20 and only 12kms from Rocamadour. Set in 32 acres of beautiful parkland, enjoying picturesque views of surrounding countryside & offers 84 fully serviced pitches, and 2 RV pitches with black water connection. Do not wish to tow! There is a superb Gîte, 5 Pine Chalets, and 4 Mobile Homes available to rent. Savour culinary delights in our restaurant “Les Etoiles” or simply enjoy some chill out moments in the bar. Wifi is available on the terrace or within the bar only. Laze away your days & experience French living, between the Lot & the Dordogne, at its best whilst relaxing at this lovely rural retreat. Chill out under deep blue skies, light a barbecue, enjoy a glass of wine and feel yourself simply melt into your natural surroundings. You will feel yourself re-energise within the warmth of the sunshine and the absolute tranquillity Château de Lacomté Country Club offers you. Relax and enjoy an Adult Only holiday in either our Gite, or a Pine Chalet or a Mobile Home. In the tranquillity of your surroundings you can enjoy the beauty, wildlife and restfulness of Lacomté, whilst discovering a region that is a melting pot of beauty, full of gastronomic delights and fine wines with exquisite & seductive deep rich flavours. Delicious Gastronomic and local meals from the Lot are on offer when you dine at our restaurant “Les Etoiles”, complimented by our Wine Cellar which offers wines from small local vineyards as well as the ever popular Bordeaux, Bourgognes & Pays D’Oc. Enjoy also our well-stocked bar, a great place to talk and to meet new people. We also have special themed evenings like music- and quiz nights.